At the time of property purchase, many people are not aware that flat they are buying is from landowners share. Recently one of my client came to know only on the day of property registration that his flat was landowners share. Builder kept him in the dark. He was shocked but didn’t have any choice but to go ahead with the registration. Though its a complex topic and each case is different from another. I thought of writing a separate post on same. Majority of the under construction property disputes are between Builder and the landowners. One of the most common reason for dispute is landowners feel cheated and duped when they find out that builder is selling flats at huge profits and they received very little share. Normally landowners get upto 40% share in property which is developed jointly. The biggest advantage of a flat from landowner is that you can get discount of upto 20% compared to rates quoted by the builder. A Joint Development Agreement signed between builder and the landowners is most crucial document. It is also known as JDA. Joint Development Agreement should be registered and buyer should thoroughly check JDA before signing below the dotted line. Also buyer should be aware whether he is buying a flat from builders share or landowners Share. In my personal opinion, it is advisable to buy flat from builders share to be on safer side. I am not discouraging my readers to buy Landowners Share but they have to be extra cautious. I am highlighting some of the common points which should be checked by buyer before buying a property under landowners share. 1. Flat no. not mentioned in JDA: This is one of the most common problem. For example if builder is constructing 100 flats and out of 100, 40 are of landowners. In most of the cases, only a count of 40 is mentioned in the registered joint development agreement. If someone point out then builder share non-registered supplementary agreement or it might not be available. This is just one of the possibility and there can be N no. permutations and combinations. In this case, it is next to impossible for buyer to find out which flat is under builders share and which one is landowners share. In worst case scenario, i observed that there was no mention of even flat count. Only % share in UDS (Undivided share of land) was mentioned in JDA. Now no one is aware how many flats will be claimed by the landowners and how many by the builder. The explanation given by builder was that it will be in proportion of UDS. Its must to mention the count of flats and corresponding flat nos in registered Joint Development Agreement. In case landowners flats are divided among multiple landowners then JDA should clearly mention flat no and corresponding name of landowner. 2. Mortgage: The biggest drawback of under construction property is that it is very difficult rather impossible to find out whether property is mortgaged or not. Builders are still transparent in this regard but if you are buying landowners share then it very difficult to find out. In many cases, landowners insist on executing bi-lateral agreement but it not advisable to sign any bi-lateral agreement. To safeguard your interest, you should sign tri-party agreement between builder, landowner and yourself. It will help to mitigate your risk in entire process. Though associated risk is not completely ruled out but can be minimized. (a) Landowner is selling his property without any coercion or pressure from anyone. (b) Landowner has received consideration at market value, which is independently verified by him before sale. These are not legal clauses but summary of the same. These 2 clauses will ensure that possibility of any dispute in future on this front is ruled out. 4. Marketing Rights to builder: Another imp point to check. In some cases, Landowner give marketing rights to builder i.e. right to sell his flat. In this case, Landowner cannot sell his share directly. Though involvement of Landowner is not required for purchase in most of the cases but still it is advisable to include landowner as a party to your agreement with the builder. If builder don’t agree then you may insist to make landowner atleast confirming party in the agreement. In my opinion, it is must. 5. 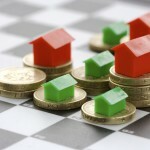 Cost Heads: There are multiple ways to buy a property and infinite cost heads are attached to it. For example, if landowner only received UDS in the project and he has to pay separately to builder for construction. It is advisable to go through all the agreements carefully and specify in your agreement, who will bear the cost under each head. 6. Balance Payment to the Builder: For some cases, i observed that my client paid total consideration value to landowner and landowner was suppose to pay X amount or balance payment to builder under his agreement with the builder i.e. JDA. In his case, landowner was not paying to the builder. Because of this reason, builder refused to register property in my clients name. It is advisable that buyer should take over balance payment from landowner to builder & adjust in his payment. For example, if buyer is paying Rs 100 to landowner and landowner has to pay Rs 20 to the builder. In this case, buyer should mention in tri-party agreement that he is buying a property for Rs 100. In payment terms, he should mention that out of Rs 100, he is paying Rs 80 to landowner. Balance i.e. Rs 20, he will directly pay to the builder which is due from landowner’s end to the builder. 7. Legal Heirs: In many Joint Development Agreements, you might have observed that 30-40 people sign as Second Party. It include also kids. The reason being, to safeguard the financial interest, builder include all the legal heirs / stake holders of landowners in the Joint Development Agreement. While signing your agreement, you should also identify which all signatories of Joint Development Agreement are associated with the landowner from whom you are buying the property. All the legal heirs and stakeholders should sign in your agreement. It is to avoid any future dispute or claims from legal heirs. I tried to cover all the common scenarios but as i mentioned, it is not feasible to cover 100% in one post as each case is different. Any generic queries in this regard can be posted in comments section. (d) Last but not least, never pay upfront money to landowner e.g. 80% paid at the time of signing agreement and 20% will be paid at the time of registration. Payment terms should be similar to CLP (Construction Linked Plan) of builder.